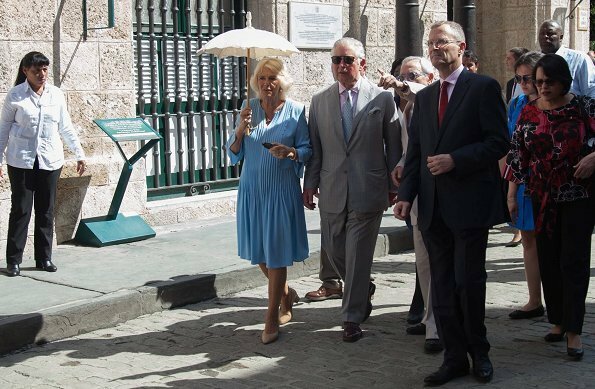 On the second day of their visit to Cuba, Prince Charles and his wife Camilla, the Duchess of Cornwall, toured Old Havana, accompanied by local historian Dr. Eusebio Leal. 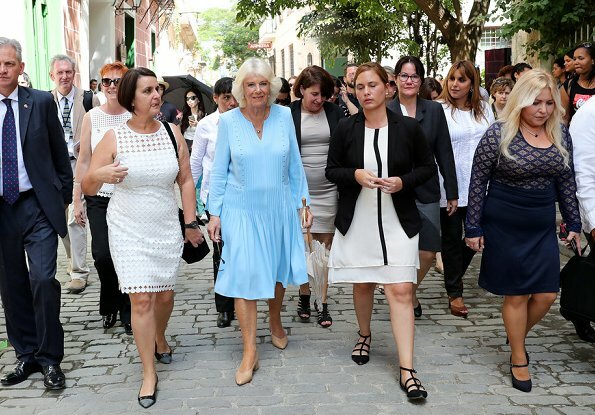 This year marks the 500th anniversary of the city of Havana. 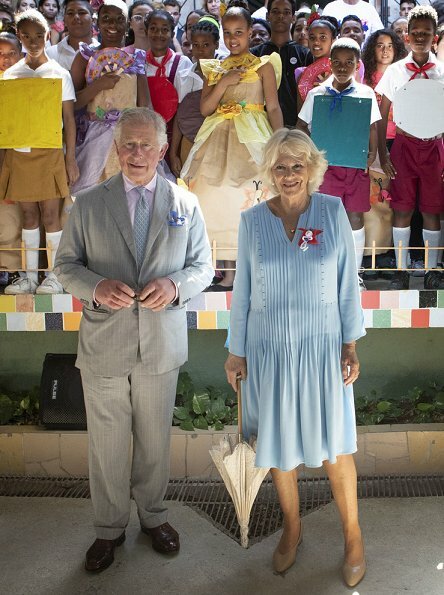 Afterwards, The Prince of Wales and The Duchess of Cornwall watch the performances at the Acosta Danza dance school. The school was set up by Carlos Acosta to give aspiring young dancers the opportunity to develop their talent. 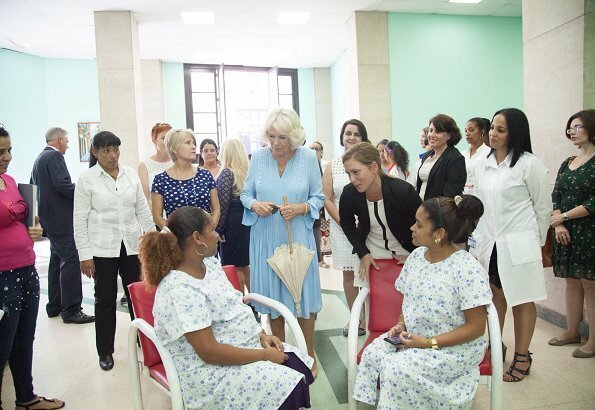 The Duchess of Cornwall then visited maternity home Hogar Materno Leonor Pérez, one of the leading centers in the country that provide support and medical care to pregnant women. 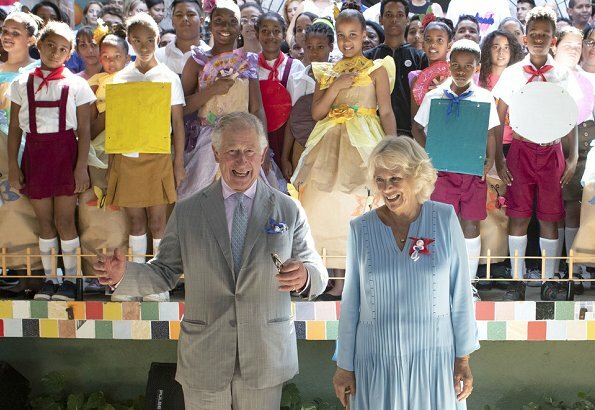 Afterwards, The Prince of Wales and The Duchess of Cornwall visited the Muraleando Community Centre. 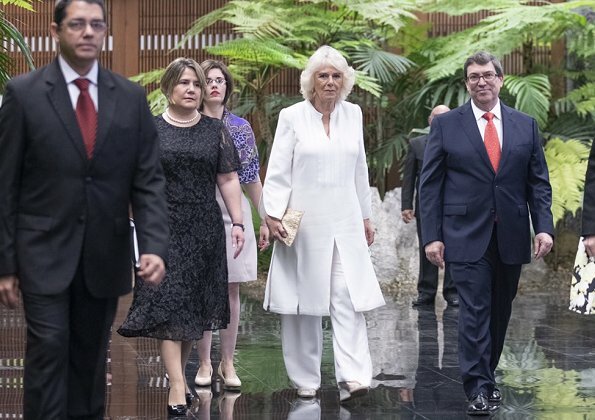 In the evening, The Prince of Wales and The Duchess of Cornwall attended an official dinner at the Palacio de la Revolucion, hosted by the President of Cuba. 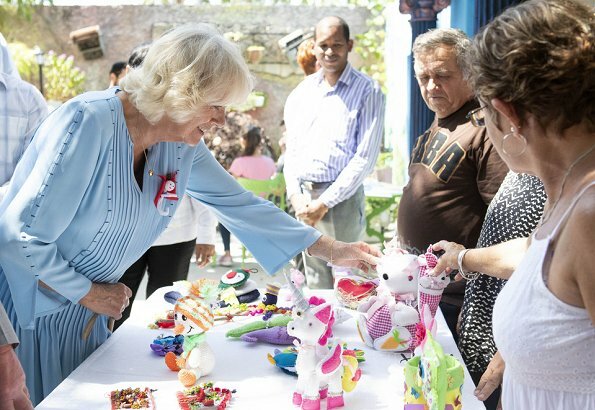 Camilla, is één van de mooist geklede vrouwen navenant ouderdom, bezoekplek, en haar figuur. Ik wil wel enkele van haar outfits voor mij. Light, airy, comfy yet regal and elegant clothes. 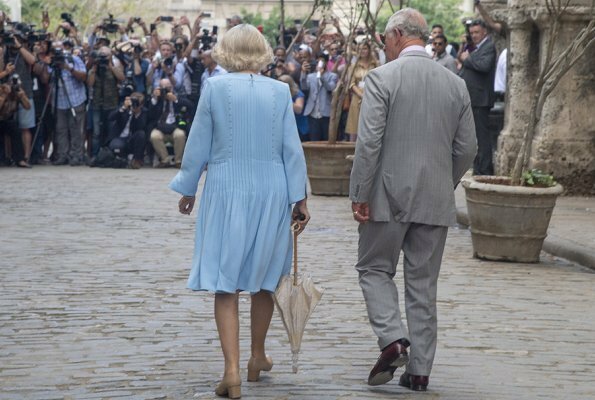 Camilla is fast become a style icon for the 60+ age group. 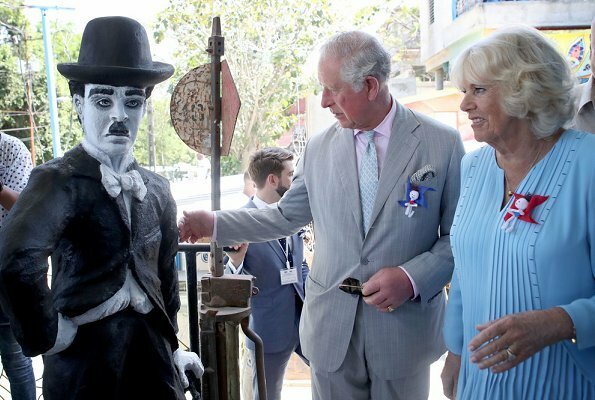 Unfortunately the Duchess appears uncomfortable - the climate perhaps? 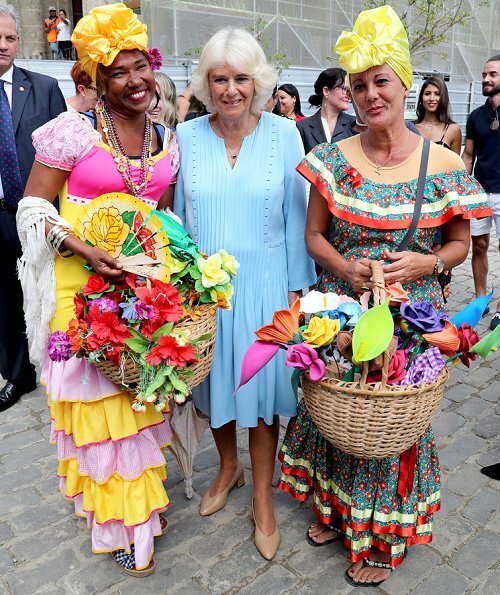 Envious of their visit to Havana! 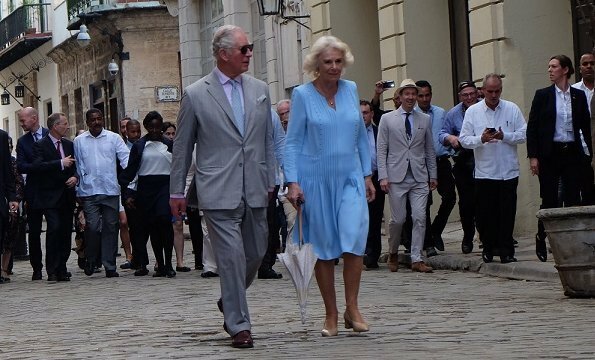 The temperature Today in La Habana is of around 28ºC with relative humidity of 75%, quite uncmfortable for those who are not used to it. 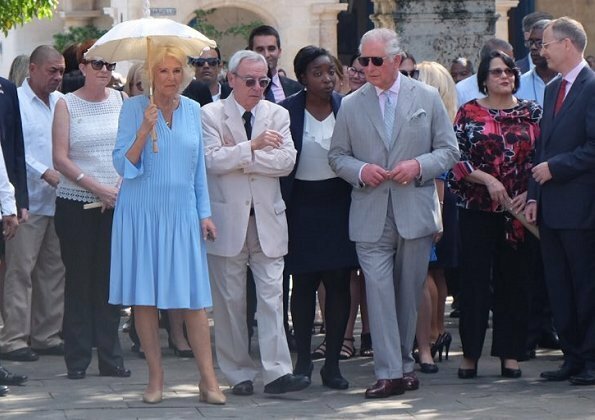 The Duchess's blue dress is a beautiful colour for her and presumably as comfortable as it gets in that level of humidity. The white outfit also suits her well but I can't help thinking of it getting splashed and mucky if the ground is wet as it appears to be in the last photo. 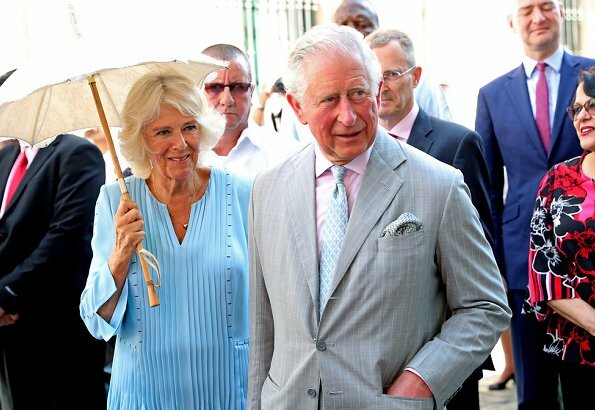 Duchess Camilla wore the white tunic beautifully. (last pic) The sky blue colour of the dress is very flattering, but the cut is not so much. She can do better. Hairdo and the makeup are perfect. Over time, approximately last two years she became better and better. Meanwhile she became my favorite. Sorry about my English. 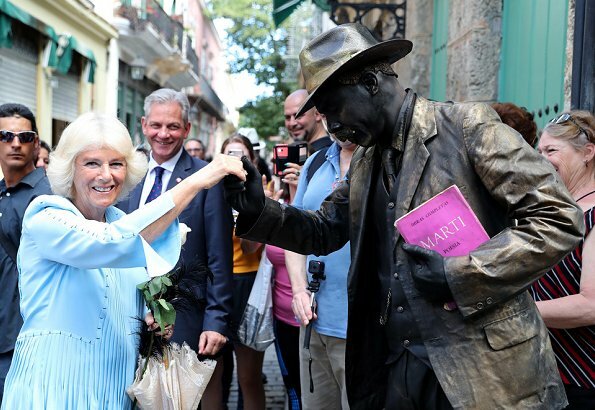 I think Camilla might be feeling that this trip should end right now! She looks very tired, poor dear. Die jurk mag ze ook aan mij geven, zou me mooi passen. 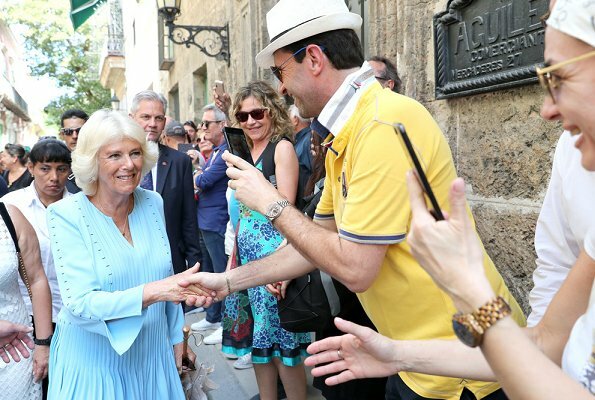 This is a very long Visit to several Countries. 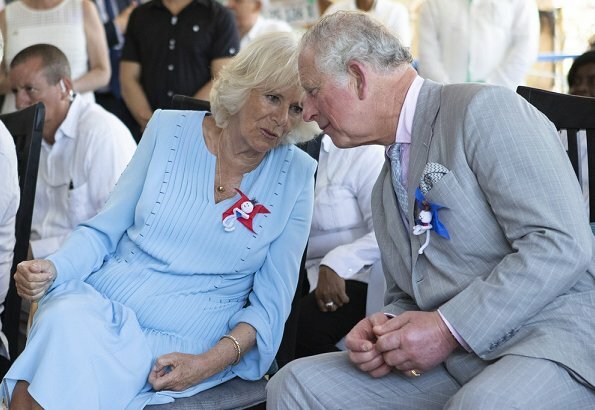 Dss Camilla and Charles work so well together and they have fun too. Like the blue dress very lovely color. 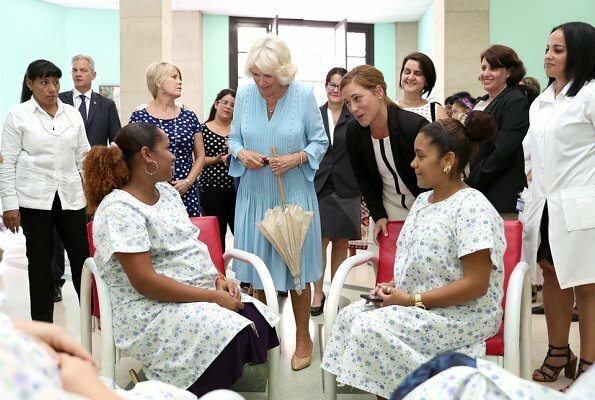 Wonder why Cuba was one of the Countries they visited. Well someone has to be the first, glad it is them.